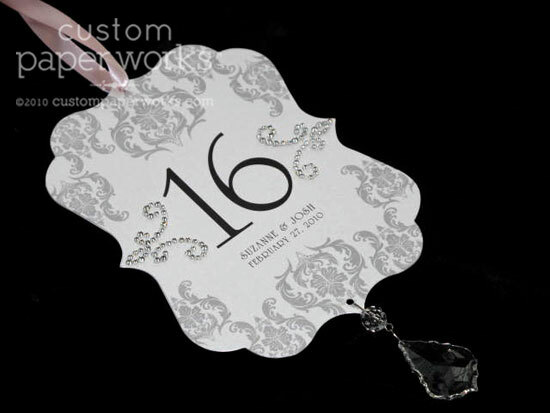 A while back I created these Damask Chandelier Table Numbers and coordinating menus and favor tags for a bridal show. I was tasked with creating designs to fit a specific design concept – “Pink Bling” – and decided to go over the top by inventing a hanging chandelier table number complete with a large hanging crystal on the bottom and two custom-made faux crystal embellishments on either side of the printed numbers. 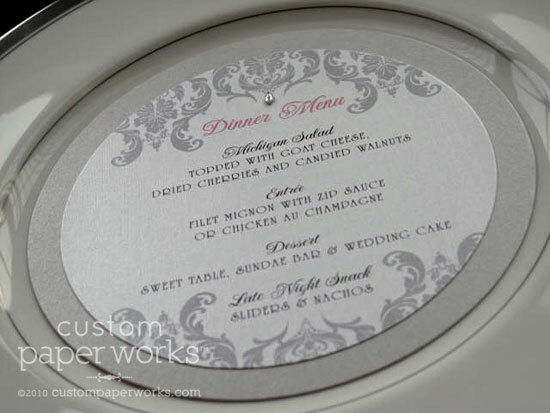 The double-layer round menu card featured a single crystal at the top. 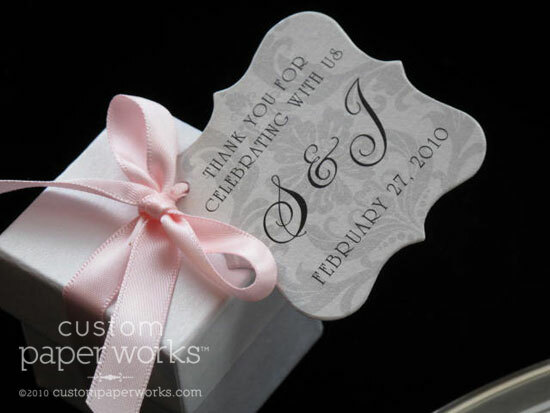 The die-cut favor tags were printed with a softer version of the damask artwork for luxurious texture. 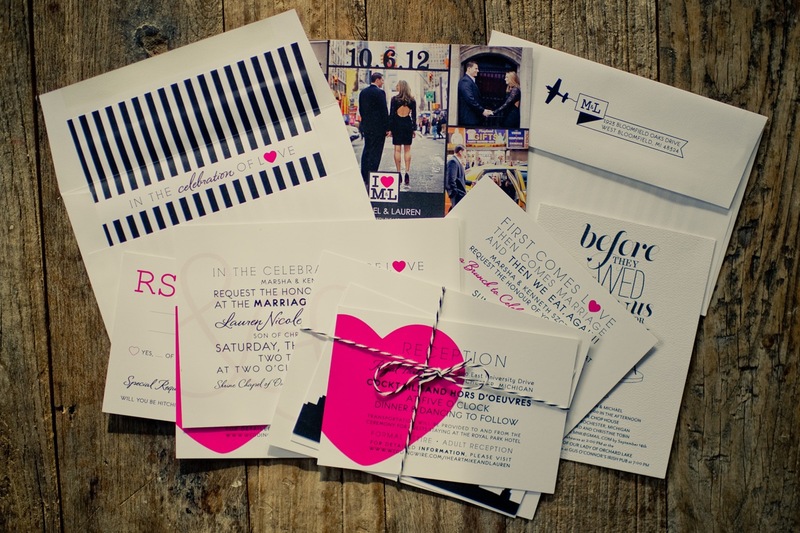 Any of these items can be customized with your choice of paper color and font, as well as varying degrees of crystal embellishments. 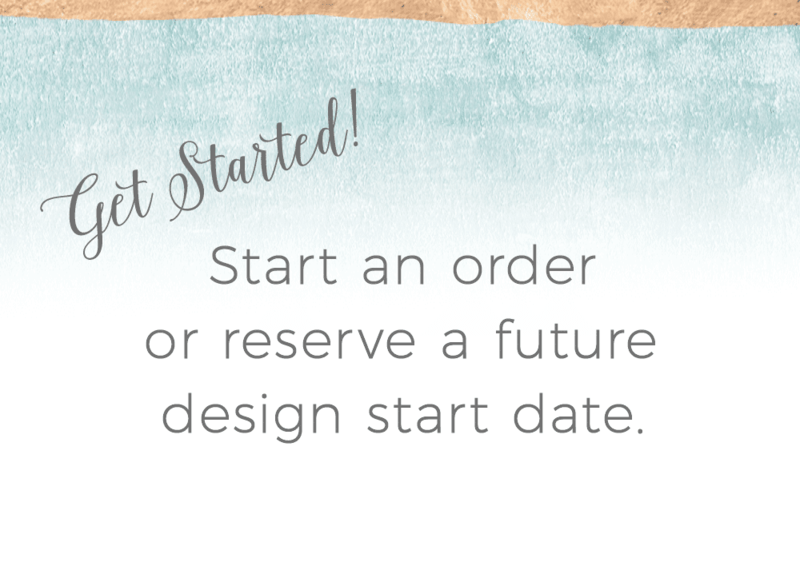 Search our site for more damask items using similar artwork including a seating chart and wedding invitation. The chandelier crystal table numbers are an original exclusive design ©Custom Paper Works.